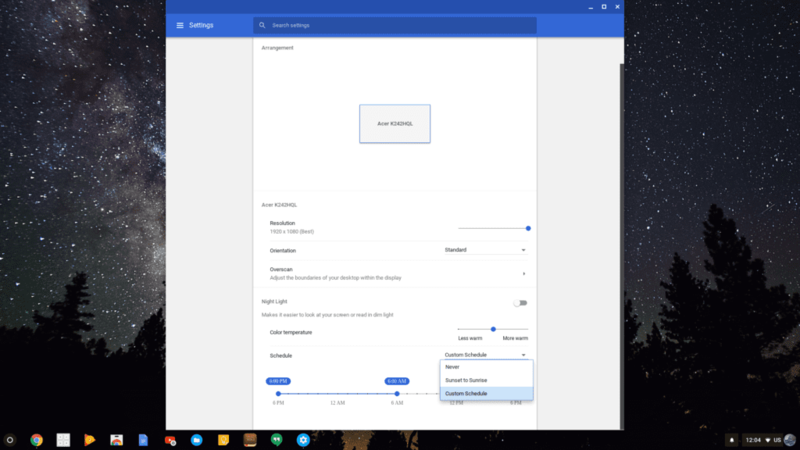 Chrome OS development continues to push forward with new features and updated design elements. The recently added Night Mode has made its way to the Beta channel but over in the Developer build we’ve discovered an addition to the upcoming feature. In addition to the Color Temperature adjustment, it looks like we will be getting a scheduling option for Night Mode. You will be able to set your Chromebook to automatically engage the feature from sunset to sunrise or create a custom schedule based on your own preference. Again, like many other features, this may not look like a huge deal but I would argue that many of these minute details have a huge impact on the Chrome OS ecosystem. As Chrome OS continues to mature, these are options that more and more users will be looking for in their next device. Having these features native to the operating system can be make-or-break for many users. If you want to go ahead and give the Night Mode scheduler a try just head to Settings>About Chrome OS>Detailed Build Information>Change Channel. From there select Developer channel and wait for the update to download. You will be prompted to restart when it is ready. Keep in mind, the Developer channel can be buggy and may be a little unstable at times. Switching back is as simple as following the steps above and selecting the Stable channel. However, returning to Stable or even Beta will result in a Powerwash that the loss of any locally saved data. So, proceed at your own risk and don’t forget to back up you data. 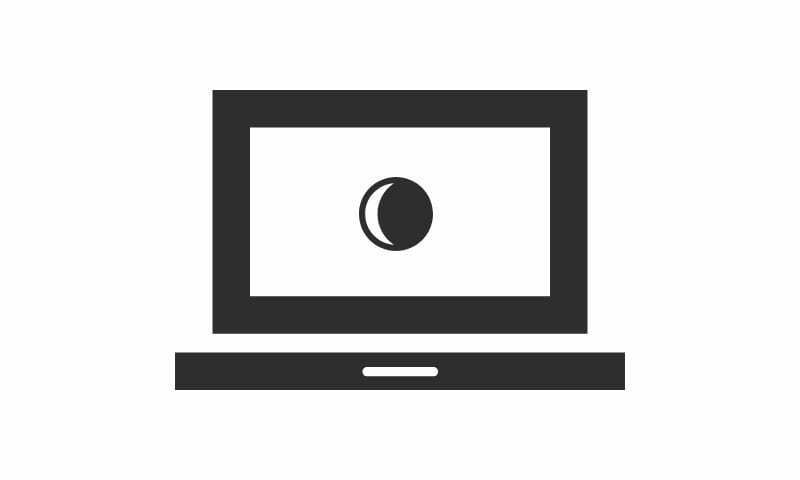 Once you’ve made the switch you will need to navigate to chrome://flags to enable Night Mode. Once there the quickest way to find it is to use ctrl+f to open a page search. Type “night” in the search box and you should find it. Click “enable” and restart the browser. You’re now ready to go. Head to settings and click the display options to find the new features.